This mug is just for dad's and can be personalized with a name of your choice. We recommend using dad's first name, but you can use a full name or nickname, whatever you like. This makes the perfect gift, it's heartwarming and personalized - the perfect combo. Guaranteed to make any dad smile! Order one today. We'll replace "Custom Name" with the name you enter in the 'Custom Name' text box, all characters will be capitalized. Take advantage of our low flat rate shipping - order 2+ items and save. Free shipping for US orders over $49. 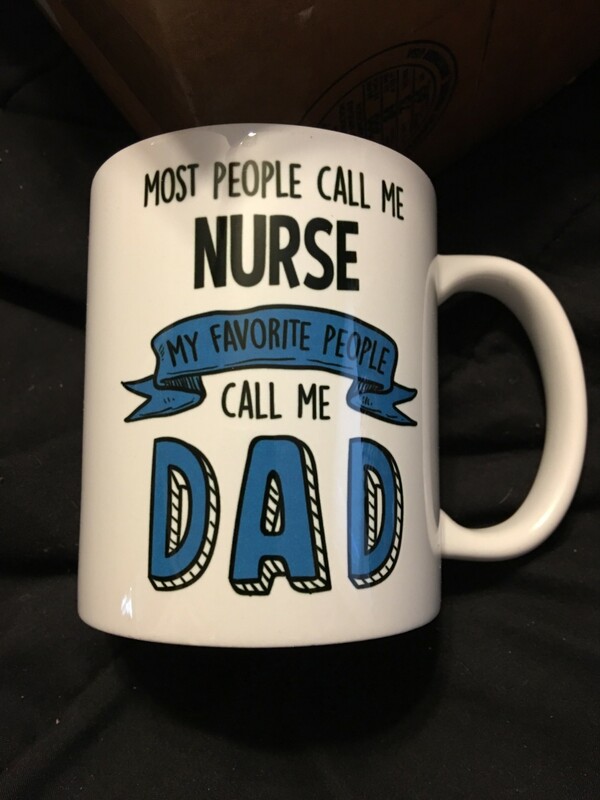 Most People Call Me (Custom Name) My Favorite People Call Me Dad - Personalized Mug has a rating of 5 stars based on 2 reviews. Love this company. Creative prints on just about anything than can accept ink I guess. Cute to heartfelt. Broad and numerous categories of segmentation to define nearly any significant interpersonal relationship. And did I mention fast? Jeezo Pete! They have a terrific customer service section and keep a customer totally informed as to the status of their order from the time you enter the submit button. Would I buy from them again? Yes...like later this afternoon. Saw their ad on Facebook about the Coffee Rx. Just knew this outfit was for me! Thank you Diverse Threads!